Set a default setting, which users can change. Force a particular setting, which users can't change. 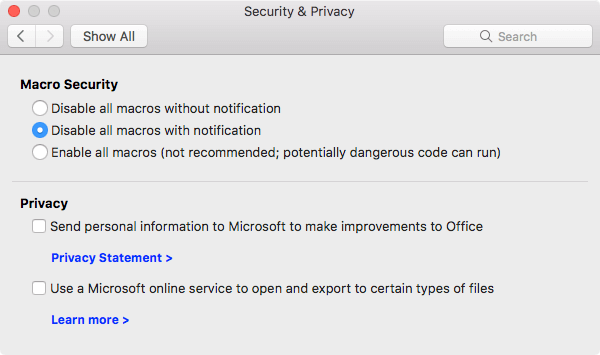 It's available starting with version 15.33 of Office for Mac. It applies to Word, Excel, and PowerPoint. It's CFPreferences-compatible, which means that it can be set by using enterprise management software for Mac, such as Jamf Pro.